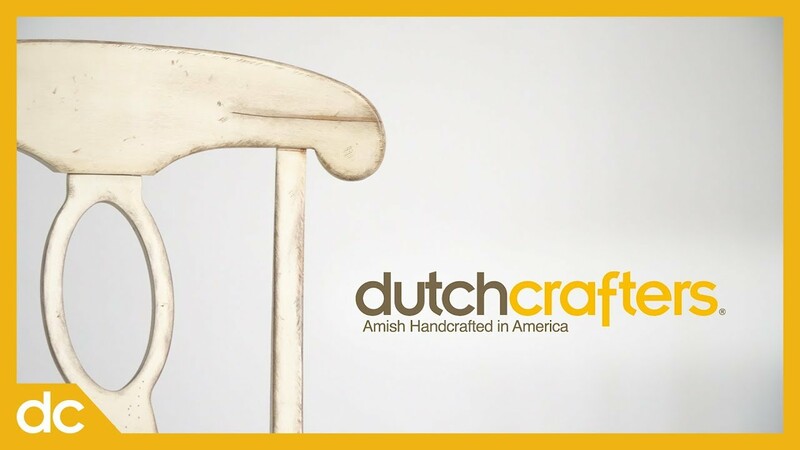 Discover the Napolean French Country Barstool at DutchCrafters. Buy it as shown in heavily distressed, painted brown maple wood with a hickory wood seat, or select your own wood type and finish! This contemporary take on traditional french country style blend antiquity with modern luxury. Shop this French Country bar stool and its accompanying set. The gently scooped seat is a fine touch to an expertly designed barstool. The oval-shaped ring crafted into the backrest sets this piece apart. If you want a set that stuns and impresses, explore your customization options with the Napolean set. For more French Country style furniture, browse our French Country style page.